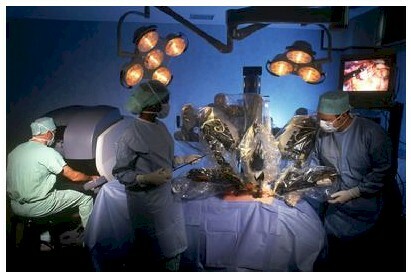 Northern, and Southwest Virginia, performing more robotic-assisted surgeries than any other health system in Virginia. Robotic Technology designed to facilitate complex surgery using a minimally invasive approach, and controlled by a surgeon. The Robotic System enhances surgery based on your personalized pre-operative virtual model plan. 3D blueprinting to make incisions and place implements with the highest level accuracy and in the exact preplanned location. HCA StoneSprings Hospital Center has established the first and only Xi Robotic Training Epicenter for general surgery in Northern Virginia. The VCP at Reston Hospital Center is designed to share best practices for robotic assisted spine surgery with surgeons from around the globe. Our range of surgical services includes: Colorectal, Gynecology, Gynecological Oncology, Hernia, Orthopedic, Otolaryngology (ear, nose and throat), Spine, Thoracic (Lung) and Urology Specialties. 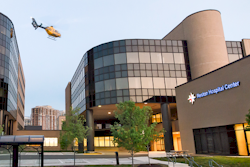 The Virginia Institute of Robotic Surgery performs hundreds of procedures annually using robotic technology, making HCA the highest volume and most experienced robotic programs in Virginia. Our team is consistently first to introduce new technologies to improve treatment and healing for you.